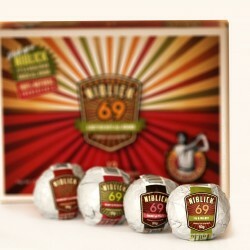 Born in an athletic family, Niblick founder and P.G.A Golf Professional Anthony Caira, wanted to develop something that was nutritious and delicious, but not a quick fix chocolate bar, to help improve his golf performance. 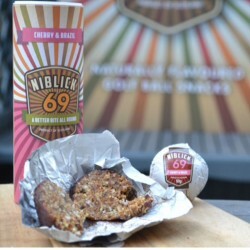 After many late nights in his kitchen, an edible golf-ball shaped snack, packed full of fruit, oats and nuts with a dash of agave nectar was created. 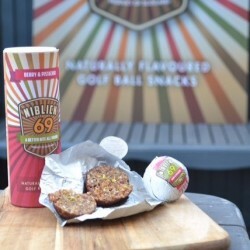 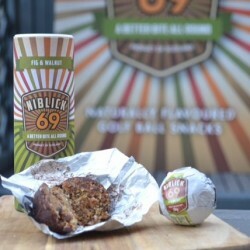 Without any additives, preservatives and low in saturated fats, Niblick snack balls are high in protein and fibre, providing long lasting energy.